With the final mission available in the ‘Caribbean Crisis – Part II’ update for PC, players can now conclude the first Special Operations story arc. Changing allegiances, explosive action and all new unlockable achievements await those engaging in the final story mission. 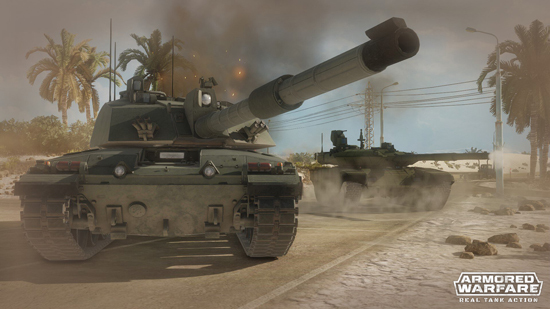 The update introduces a range of lethal vehicles capable of taking out targets quick and silently which are sold to players by a brand-new dealer in the game. The introduction of dealer Oscar Faraday, a gentlemanly yet dangerous former special agent, brings a new commander and a host of new finesse-based light tanks. From the Rooikat, a potent and deadly scout, to the Sprut-SD, an agile, if thinly armored, tracked vehicle with a powerful gun, players will be able to earn a new stable of tanks through achievement-focused tasks. Beyond this, the new update includes the addition of the VT-4, a powerful modern Chinese export MBT. Armed with a 125mm smoothbore gun, the might of this Tier-8 vehicle makes it a must have for veteran collectors. In addition to the new vehicles, the update brings a brand-new map for Global Operations. Set in the narrow gorges of Switzerland surrounded by titanic mountains, the Alpine Valley provides a challenging terrain for armored vehicle operations, but nothing too difficult our battle-hardened commanders. War has come to this valley and players must root out the enemy and control this strategic location for their client.